In conjunction with McGill’s Graduate and Postdoctoral Studies, the Healthy Brains for Healthy Lives (HBHL) initiative is proud to announce the launch of a new prestigious Postdoctoral Fellowships competition. 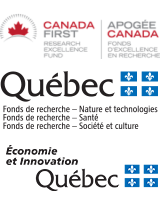 This program aims to attract to McGill University talented post-doctoral fellows from around the world who are interested in cutting-edge interdisciplinary and translational research related to brain health and neuroinformatics. It offers an attractive package including a stipend of CD$60,000 plus benefits (max. $70,800 per year) for up to two years. The application deadline for this competition is January 10, 2018. Click here for a detailed description of the program.